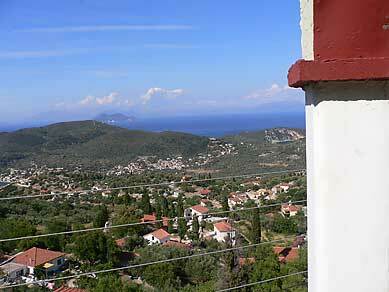 Perahorio is a picturesque village lying some 3km from Vathy and at 300 m on the mountain of Petaleiko. 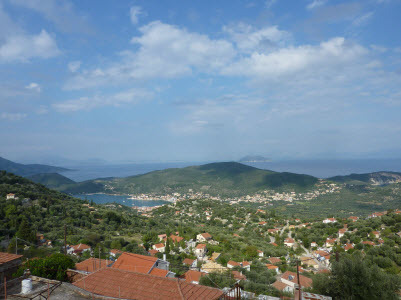 Founded by the people of Pateochora, during the Venetian period, it has been the most inhabited village of Ithaca, with a population 100 years ago of approximately 1,000 people. From the outskirts of Perachori, a path leads up to the old settlement of Paleochora. This is where most of the people settled in the Middle Ages and the first period of the Venetian years. Today the ruins of the houses built like forts to repel the pirate invasions and several roofless churches with excellent Byzantine frescoes are all that remains of the village of Paleochora.